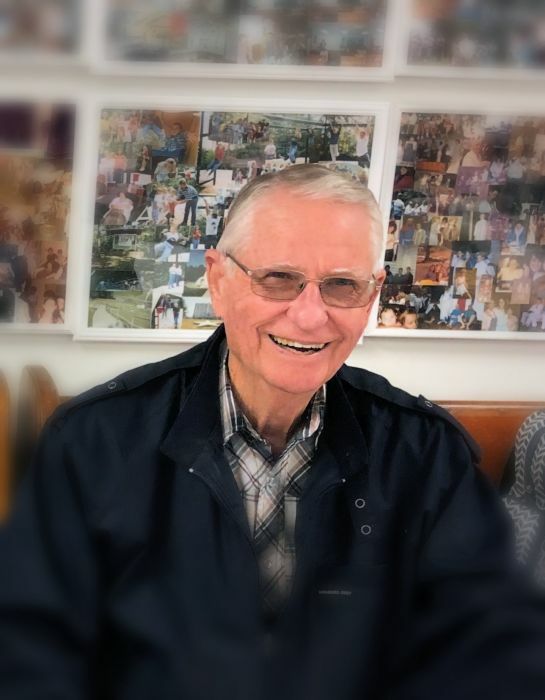 Lindbergh Bass, age 83, of Bell, Florida passed away on April 4, 2019. Lin, as all knew him, was born to the late Mr. Everette Bass and the late Mrs. Julia Sapp Bass, on July 4, 1935 in Bell, Florida. As a young man, he enlisted in the United States Navy, serving his country and sailing much of the world. Upon his return to Florida he began the work that he would continue for the remainder of his life, serving God as a minister and striving in all things to be an ideal Christian man. He was the Pastor of the Beulah Freewill Baptist Church, in Pensacola, Florida, for 27 years. Lin later returned to live in Bell, where he farmed and nurtured the home place where he had been raised. He was free again to pursue his favorite past times, farming, fishing, and raising worms. He would begin to split his time between Florida and Clayton, Georgia where he had fallen in love with the people, the scenery, and the trout in Moccasin Creek. He loved the people of the Persimmon Church of God, where he and Mrs. Martha Bass, both attend. He was a loving, kind, genuine man who cared deeply for all those he knew. In addition to his parents, he was preceded in death by his daughter, Yvonne Mandel. He leaves behind his loving wife, Martha Baker Bass, of Bell, FL; his daughter, Donna Edwards (Billy), of Pensacola, FL; two step-daughters, Patti Hooten (Freddie), of Bushnell, FL, Alisa Hall, of Fruitland Park, FL; one brother, Mason Bass, of Bell, FL; one sister, Betty Ann Horne, of Panama City, FL; numerous grandchildren, great-grandchildren, and great-great grandchildren also survive. The family will receive friends on Sunday April 7, 2019 at the Beck Funeral Home Chapel in Clayton, Georgia from 2:00 pm until 3:00 pm. A funeral service will be held at the Beck Funeral Home at 3:00 pm on Sunday April 7, 2019 with Rev. Teddy King and Donna Pendrey officiating. An additional service will be held the second week in April, in Florida with Watson Funeral Home in Trenton, FL handling the service. Burial will follow the Florida service, in the Florida National Cemetery in Bushnell, Florida with Military Honors at the graveside. The family asks that in lieu of flowers, donations be made to Persimmon Church of God 426 Coy Lane Clayton, Georgia 30525. Watson Funeral Home 426 W Wade St Trenton, FL 32693 (352) 463-8888 -http://www.watsonfhtrenton.com/ is in charge of Florida arrangements.